Organizing a house is not eating peanuts; it surely is a tiring job however you can make it pretty simple by following a proper schedule for cleaning. When I moved in to my own place, at first I found it really difficult to clean, organize and maintain house. I used to dedicate my entire weekend for cleaning around the house and doing other household jobs. Later I adopted the habit of everyday cleaning and every weekend I use to spent some time on extra cleaning chores while the rest of the day for relaxing and enjoying weekend. I would share the schedule that I follow for everyday cleaning and you can have your entire house cleaned in only 15 minutes each day. Tip: Nothing can happen in an instant and you can’t do everything at once but you must focus on one task. Once you start cleaning up, things will start to work out and soon you will find yourself in a tidy place. The best way to assign cleaning chores for each day is to make a list over calendar. You can set extra cleaning chores that are difficult ones for weekends whereas regular cleaning on working days. Here are some steps to make your house clean and these are totally do-able. Do not create mess and then begin cleaning everything at once. Instead clean up as you move. For example if you have your meal, instantly remove plates and put them in dishwasher instead of piling up. Put things back to their place once you are done with using them. Change your habit. Think and have a positive attitude towards cleaning. Clean your house on regular basis and make it your habit to stay in a clean place. Once you have created this attitude, you will be able to own your mess and will be able to set it right. The 15 minutes schedule that you would design for yourself, think of it as a time for home improvement and not complaint about it. Cleaning up can be stressful and it can be a time to unwind your thoughts. The way you make it depends upon your attitude. For 15 minutes cleaning schedule, you must have your house in a proper condition. If you haven’t cleaned your floor or haven’t used a duster for months, then you won’t be able to tackle all that dirt and dust in 15 minutes. 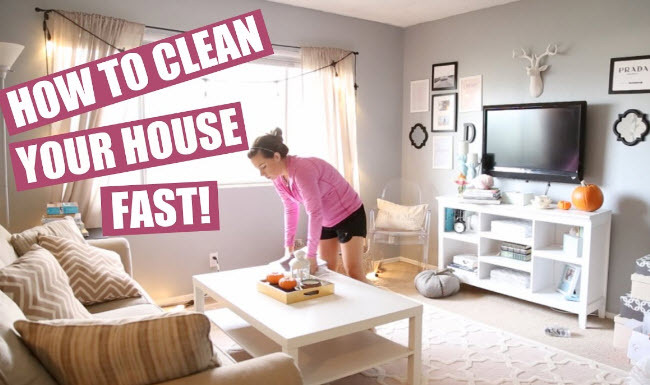 You need to first have your house in a proper shape and then this 15 minutes cleaning will be smooth and easy for you. Prepare a schedule and place it somewhere in the kitchen area. 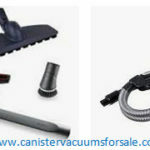 Vacuum your house at least twice a week with a reasonable canister vacuum cleaner. The below mentioned tasks must be included in your everyday cleaning routine. Nothing can be worse than a piled up kitchen. So you must not wait for your kitchen to turn in to a complete disaster. Do not wait for clean up until you need to prepare another meal. No one will be encouraged to cook in a dirty messy kitchen. Rather do it instantly after meal or if you are using a dishwasher fill the dishes after meal. Also clean up the trash can and garbage it out. Same rule to follow with dirty clothes as for dish washing. If you do little bit of laundry each day, you won’t have stinky smell of pile of dirty clothes in your laundry area. Do small load each day in the machine, fold clothes and put them straight in your wardrobe. If you have set a 15 minutes cleaning schedule, it is best to have a timer set in order to justify timings. If you have your timer set, you would know exactly how much time is left for you to complete your everyday cleaning chore. The 15 minutes cleaning schedule a day can be done at any time with your personal preference and convenience. You can either do it in the morning or in afternoon or even in the evening. It depends upon your own choice and liking. No matter when you do this ritual, make it a habit so that you don’t avoid it. 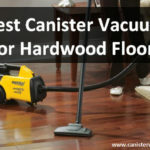 If you own a good canister vacuum your wooden floor wouldn’t take much time and you can easily do it in some minutes. Whether it’s professional work or household cleaning; if you are enjoying what you are doing then it becomes easier and you have fun doing it. While cleaning, you can also listen to songs, sing, whistle, dance or whatever you feel like doing. Apart from everyday cleaning chores, you must assign one extra task each day for the whole month for deep cleaning of your house. This may include cleaning living room surface, cleaning pantry or refrigerator and others. You can customize a 30-day task list according to requirements of your house. This list must suit your lifestyle and you can stick it on your refrigerator or at any other place in your kitchen. Do not feel bad if you miss some days or tasks on your list. No needs to have guilt feelings after all you are still cleaning more with this schedule than you would have otherwise. You can be sick, you can be on vacations and there is no harm in picking up schedule at a later time when things settle down. This 15 minute cleaning would set up an attitude and habit of staying in a clean place and it will replace your bad habits. Spend 15 minutes for improvement of your living space and this improvement would not only look and feel good but will have beneficial effects on your mental and physical health. 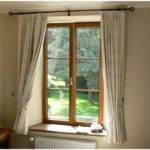 If you are one of them who are less eager of cleaning and scrubbing, it would take some time for new habit to develop but once this cleaning approach is crafted, it will stay forever.